Lewis Rice member Neal F. Perryman, along with four other prominent leaders, will be inducted into the Association of Churchill Fellows at a ceremony on Sunday, March 25 at Westminster College as part of Churchill Fellows Weekend. The Association of Churchill Fellows is an honorary society of people dedicated to the development and use of the National Churchill Museum at Westminster College, where Sir Winston Churchill delivered his renowned "Iron Curtain" speech in 1946. More than 300 Fellows have been recognized for their service to the museum since the Association's founding nearly 50 years ago. Past inductees include former U.S. Sen. John C. Danforth; author Jon Meacham; Winston Churchill, Churchill's namesake grandson; Churchill’s daughter, Lady Mary Soames; his granddaughter, artist-sculptor Edwina Sandys; Gen. David H. Petraeus; former British Prime Minister Margaret Thatcher; International Churchill Society Chairman Laurence Geller; the Right Honorable Earl Mountbatten of Burma; legendary newsman Walter Cronkite; and, President Dwight D. Eisenhower. Neal F. Perryman is an alumnus of Westminster College and focuses his law practice on labor and employment. 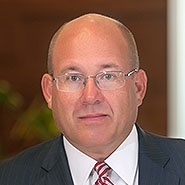 He also regularly practices in the areas of ERISA litigation, complex commercial litigation, appellate practice, education law, and municipal law. Beyond the office, Neal is very involved in the community and serves a number of organizations in leadership roles.